Experts in Colored Gemstones - Shaftel Diamond Co.
Our expertise in the precious gemstones market is unsurpassed in the Houston area. We travel the world to maintain an inventory of beautiful precious colored stones, loose and mounted, ranging from $100 to well over $100,000. We have rich red rubies from Burma (Myanmar), Thailand, and Africa. Sapphires of all colors blue, pink, yellow, golden and more from Sri Lanka, Thailand, and Madagascar. 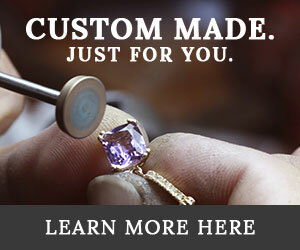 Luscious emeralds from Colombia, Brazil and Zambia – Tanzanite from Tanzania – and Pearls in many sizes and colors from Japan, Tahiti, Australia, and China.